A new study by Chinese and Australian astronomers has developed the world’s first accurate three-dimensional picture of the Milky Way’s warped appearance, showing that the galaxy’s disc is not flat but warped and twisted far away from the center. The study was published online in the journal Nature Astronomy on Tuesday. Many people believed the galaxy would look like a flat disc of stars that orbit around its central region, but researchers of the study found that the galaxy’s far outer regions are warped and twisted, forming a three-dimensional structure. 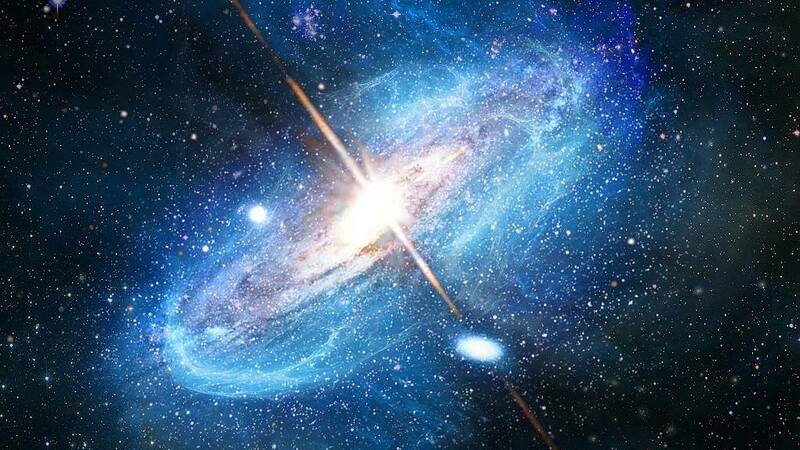 Chen Xiaodian, the lead author of the study and a researcher at the National Astronomical Observatories of Chinese Academy of Sciences, said that accurate distances from the Sun to parts of the Milky Way’s outer disc were key to knowing what that disc actually looked like. Researchers established a robust Galactic disc model based on 1,339 variable stars which are four to 20 times larger than the Sun, and up to 100,000 times more luminous. These stars providing high distance accuracy were used as primary distance indicators to develop an intuitive and accurate three-dimensional picture of the galaxy. The further study validated that the stellar warp morphology is in excellent agreement with that of the galaxy’s warp. “This new finding may help us to know the shape of the Milky Way, and provide a key clue to understanding how galaxies such as the Milky Way form and evolve,” said Deng Licai, co-author of the study.